Wolf Ridge Arrival Clarification and Thursday Wolf Ridge Update! We are so excited to welcome our students back tomorrow! We had a blog post that was confusing today about arrival times - I apologize! we will send updates on arrival by text and posts to facebook if any timing changes due to travel! Thursday at Wolf Ridge was wonderful. So great to see students settling into a routine outdoors with their peers - relationships new and old forming and deepening. 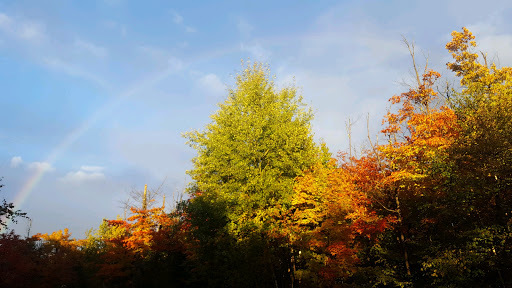 Hikes, water study, changing colors of the leaves, and a rainbow sighting! Students are strong, heart-ful, persistent, and ready to come home to you!